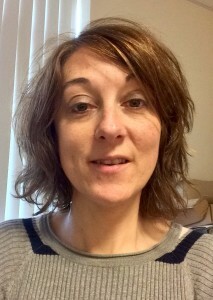 Martina is the Head of Education, Research and Quality at Milford Care Centre since January 2014 and has more than 13 years’ experience of working in Palliative Care. She originally qualified as an Occupational Therapist in Trinity College Dublin and initiated the first Occupational Therapy service in Milford Care Centre. Martina completed a Diploma in Health, Safety and Welfare at Work with the University of Limerick and a certificate in Multi – Elemental Behavioural Support with the Callan Institute and Dublin Institute of Technology. Martina was previously the Quality and Safety Coordinator in Milford Care Centre and project managed the Centre’s successful application to become the first Irish Hospice to achieve accreditation in 2007 with the then Irish Health Services Accreditation Board. She received a scholarship from the All Ireland Institute of Hospice and Palliative Care (AIIHPC) in 2011 to attend a research summer school at the International Observatory on End of Life Care. 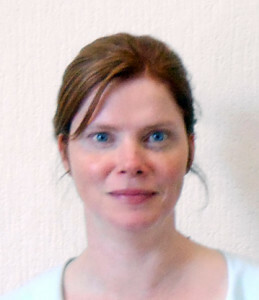 Martina was awarded a clinical research fellowship in palliative care by the AIIHPC in 2013. She was awarded her PhD in 2015 for a research project entitled “The development and evaluation of palliative care admission assessment tool”. Carney, J., O’Reilly, M. (2014) “Audit of Referrals to a Specialist Palliative Care Unit – Identifying Areas for Improvement”, National Institute for Health Sciences Research Bulletin, 7(2):71. Jezewska U., O’Reilly, M., Conroy, M. (2015) “Written Communication – An Audit of Patient Healthcare Documentation in a Hospice Setting”, National Institute for Health Sciences Research Bulletin, 7(2):70. Breda is a Nurse Tutor at Milford Care Centre. She trained as a Registered General Nurse in Scotland and thereafter worked in General Surgical Care and Care of the Elderly Service areas in Dublin and Limerick for a number of years. Following a Masters in Nursing Education (UCC, 2006) and an increasing interest in palliative care education and practice Breda completed the Higher Diploma in Palliative Care (NUI Galway 2009) and has since worked as a Nurse Tutor. Breda’s areas of interest include Palliative Care delivery within general hospital settings, the impact of Palliative Care Education for Care Givers and supports for Family Carers. Jackson, K. Trimble, B. (2013) European Certificate in Essential Palliative Care. Available at: http://www.ehospice.com/default.aspx?tabid-7343&ArticleId-5442 (Accessed 1 July 2013). National Institute of Health Sciences Research Bulletin (2007). Staff Nurses Experiences of Delivering Palliative Care in General Hospital. St. Camillsus Hospital Limerick. National Institute of Health Sciences Research Bulletin (2008). Wound Care Practices and Procedures in a Health Care Facility: A Comparative Study. Irish Association for Palliative Care News. Autumn (2010). Developing Cultural Competence. The Milford Care Centre Experience. IAPC. An Evaluation of the Impact of a Palliative Care Programme for Health Care Assistants (2011) (Pending). Tel: 061 201 718. Email: b.trimble@milfordcc.ie Breda is available Monday – Thursday..
Joanne is the Librarian in Milford Care Centre. In addition to managing the Library and Information Service she is involved in delivering training workshops in areas such as: (1) searching the literature; (2) critical appraisal and (3) systematic reviews. Joanne’s other interests include bibliotherapy, information literacy, e-learning, open access and scientific writing. She is also project officer for Milford Care Centre’s e-learning website E-Life. Joanne has completed a B.Sc. Hons in Biochemistry, National University of Ireland, Galway; a Masters in Library & Information Studies, University College Dublin and a Certificate in Training and Continuing Education and a Graduate Diploma in Digital Media Development for Education in the University of Limerick. Callinan J, Balanda K, Bradley L, (2013) How to increase access to research on death, dying and loss? Poster Presentation 3rd International Conference on Public Health and Palliative Care, Limerick 25th-27th April 2013. Callinan J, McLoughlin K, Rhatigan J, Richardson M. (2013) Evaluation of a bibliotherapy service for bereavement support. Oral Presentation 3rd International Conference on Public Health and Palliative Care, Limerick, 25th-27th April 2013. Callinan J, Balanda K & Bradley L (2013) Supporting Open Access to Health Knowledge Resources across Ireland: Linking with NECOBELAC, An Leabharlann, 22(1):30-32. Callinan J, McLoughlin K, Rhatigan J, Richardson M (2013) Attitudes and experiences towards setting up a bibliotherapy ser vice for the bereavement support service, National Institure for Health Sciences Research Bulletin, 6(4):53. Callinan J, McLoughlin K, McCarthy P (2010) Analysis of library associated information needs of staff in a specialist palliative and gerontological care centre in Mid-West Ireland. Health Information & Libraries Journal, 27(4): 286-294. Callinan JE, Clarke A, Doherty K, Kelleher C. Legislative smoking bans for reducing secondhand smoke exposure, smoking prevalence and tobacco consumption. Cochrane Database of Systematic Reviews 2010, Issue 4. Art. No. : CD005992. DOI:10.1002/14651858.CD005992.pub2. Joanne Ni Challanain, Bernard Barrett & McCarthy F (2007) Health Information Professionals: Roles, Skillset and Barriers to Involvement in the Cochrane Process. Conference Proceeding, EAHIL 2007. Oral Presentation and paper presented at the European Association of Health Information and Libraries Conference, KraKow, Poland, 12th-15th September 2007. Callinan J. & Barrett B, Oral Presentation “Framing questions, discerning clues, sifting the evidence: why and how Librarians can adopt the principles of Evidence-Based Practice. CILIP / Library Association of Ireland Annual Joint Conference. Portlaoise. April 26th 2007. Callinan J, Barrett B (2006) Contributions made by Librarians to the Cochrane Collaboration in Ireland. Poster Presentation: Cochrane Collaboration in Ireland Conference, February 2006, Dublin City University. Callinan, JE (2005) Information-seeking behaviour of undergraduate biology students: A comparative analysis of first year and final year students in University College Dublin. Library Review, 54(2): 86 – 99. Click here to visit the Library and Information Service page. 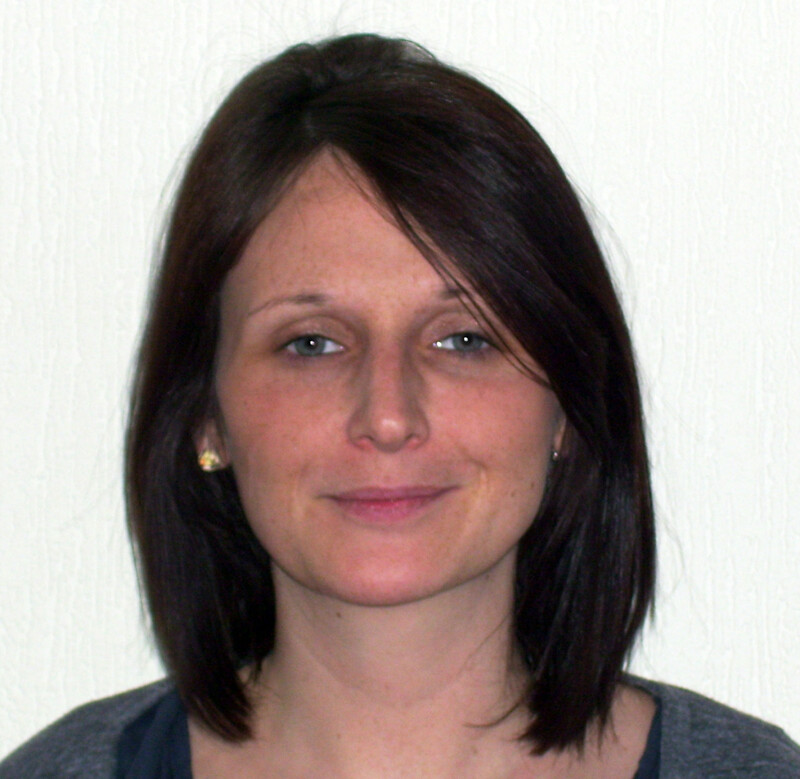 Caroline is a full time Risk Management and Safety Officer at Milford Care Centre. Caroline completed a BBS at University of Limerick, majoring in Risk Management. She then went on to complete a Post graduate diploma in Computing at University of Limerick, and worked for a number of years in financial software consultancy and training. Caroline then completed the Diploma in Health, Safety and Welfare at Work at University of Limerick, and has worked in this area for the last number of years. Caroline is a qualified Manual Handling Instructor and MAPA (Management of Actual and Potential Aggression) Instructor. A Registered General Nurse since 1991, Hilary worked for a number of years in Australia, before completing a Bachelor’s Degree in Nursing in Trinity College. She specialised in Palliative Care and completed a Higher Diploma in Palliative Nursing in U.C.D whilst working in Our Lady’s Hospice, Harold’s Cross in 2001. Since then, Hilary has been involved in Specialist Palliative Care practice and education and completed a Master’s Degree in Palliative Care (education) with the University of Dundee. Hilary moved home to Limerick and to Milford Care Centre in 2004. She has being involved clinically as a Community Clinical Nurse Specialist and in palliative care education in Milford Care Centre, and with N.U.I.G. Particular interests include communication, (she is accredited facilitator in “Advanced Communication Skills” Course) and end of life care for those with dementia. Presently, Hilary supports the Department in quality, research & education initiatives. She is also the Regional Development Officer for End of Life Care in Residential Care with the Irish Hospice Foundation. April 2012: From Home to Hospice: Challenges of Practice. Oral Presentation. 8th Annual Cephalon Symposium for specialist palliative care professionals, Dublin. October 2011: The Management of Gastro Intestinal Symptoms. Oral Presentation. INMO 7th Annual Telephone Triage Nursing Conference, Castletroy, Limerick. February 2009: A descriptive survey to assess the palliative care knowledge of generalist public health nurses in the Midwest region of Ireland. Oral presentation. IAPC Education & Research Seminar, Dublin. May 2006: A survey of nurses’ assessment of constipation. Poster presentation. 4th Research Forum of the European Association of Palliative Care, Aachen, Germany. May 2004: An evaluation of a five day palliative care course for Registered Nurses using the palliative care quiz for nurses. Poster presentation, 3rd Research Forum of the European Association of Palliative Care, Stresa, Italy. April 2004: Death and Dying. Oral Presentation. National Conference of The Samaritans, Marino Institute, Dublin. Smyth, H. (2004).Oxford Textbook of Palliative Medicine. International Journal of Palliative Nursing. Smyth, H. (2004). Hastening at the end of life. The Irish Times, 24th June. Geraldine is a full time education adminstrator. Geraldine co-ordinates all course bookings and is the link person for external organisations seeking to hire the education venue. Contact Geraldine via email at education@milfordcarecentre.ie or call 061 485 841.